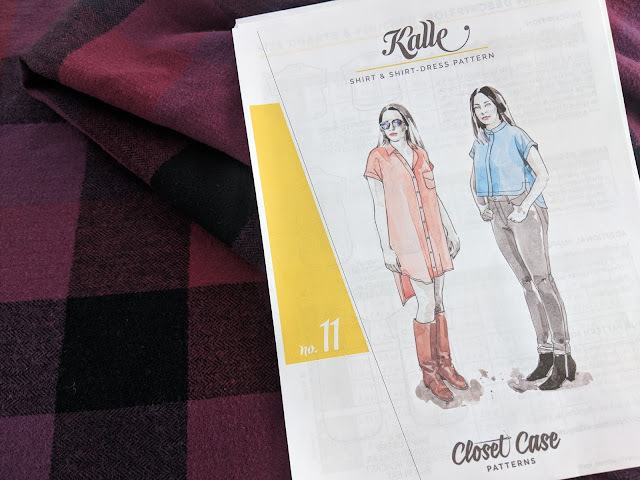 The Kalle shirt and shirtdress pattern from Closet Case Patterns wasn't exactly love at first sight for me. I've never been a huge button up wearer and it isn't really a style I would normally pick myself. Since it's the March Sew My Style challenge, I decided to go for it anyway and get some more experience under my belt. With it already being half way through the month, I've successfully completed two versions of this pattern and am really glad I pushed outside my comfort zone. Not only did I learn a few new things, I also have two pieces that look way more polished than my usual wardrobe. What I really love about the Kalle pattern is how easy it is to customize. At first glance, you have 3 different views you can choose from: cropped, tunic, or dress length. They all feature a unique high-low hemline. 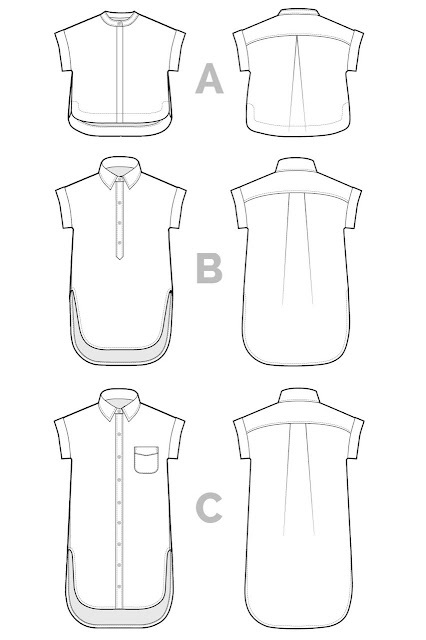 If you look closer though, you'll see that you have the option of different collars, button plackets, and even hemline. The level of customization makes this pattern something you can use again and again without tiring out the look. I decided to make my first Kalle in the cropped shirt version. I figured that was the most like something I would wear and figured it wouldn't take much fabric in case I didn't love it. 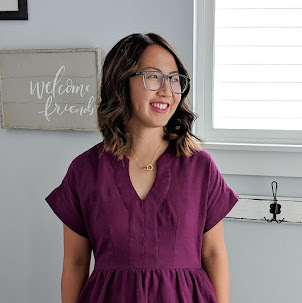 I stuck with the band collar, lengthened the front and back so it wasn't super cropped, did the inverted box pleat in the back, which I am absolutely in love with. Lengthening the front more than the back made the hem facing uneven. I wasn't aware that would be a problem until I was in the thick of it and I ended up needing to recut the pieces to account for the extra length. 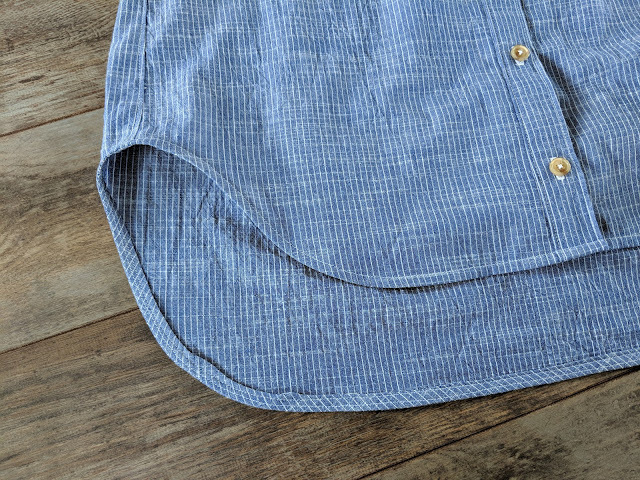 The hidden button placket was where I had the most trouble with this pattern. 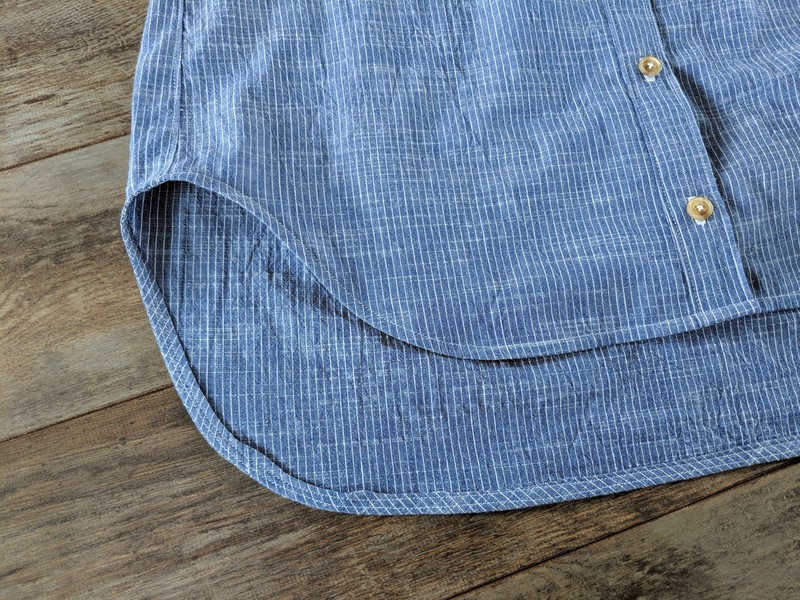 If you're new to this, I would advise you to do a different button placket or at least practice before you do it on your actual fabric. I ended up not understanding where the button holes were suppose to go so it's definitely not perfect, but luckily it's hidden. The inverted box pleat in the back is everything! 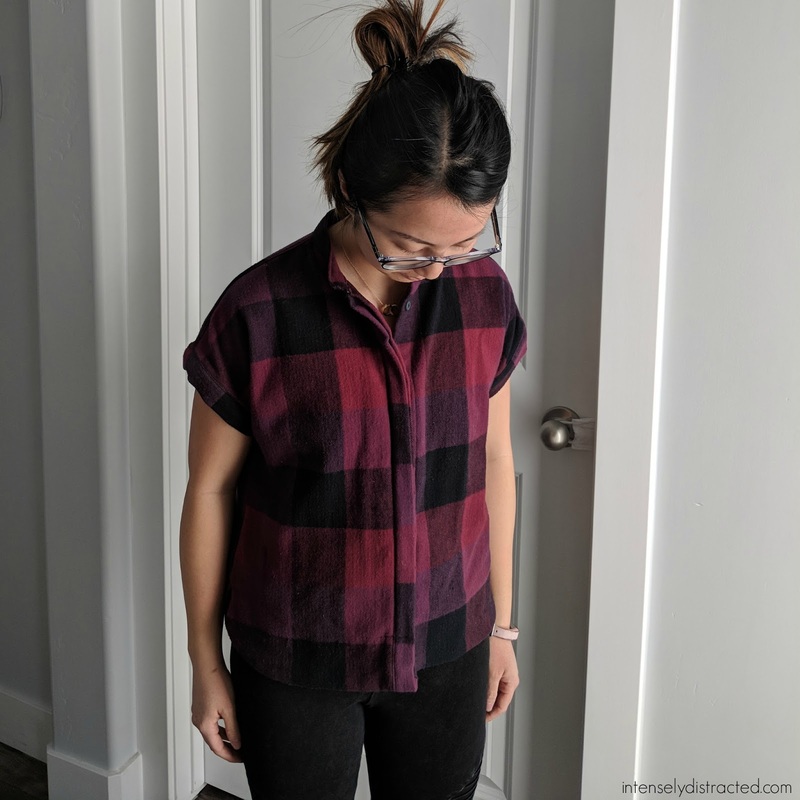 I made this shirt in a flannel that I absolutely fell in love with at my local Joann store. 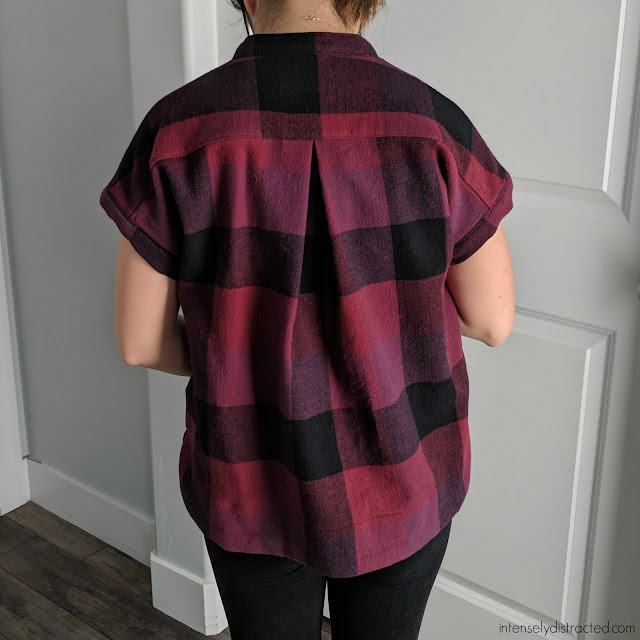 I love how the back lays, but it did make some of the seam allowances very bulky especially with the hidden placket. 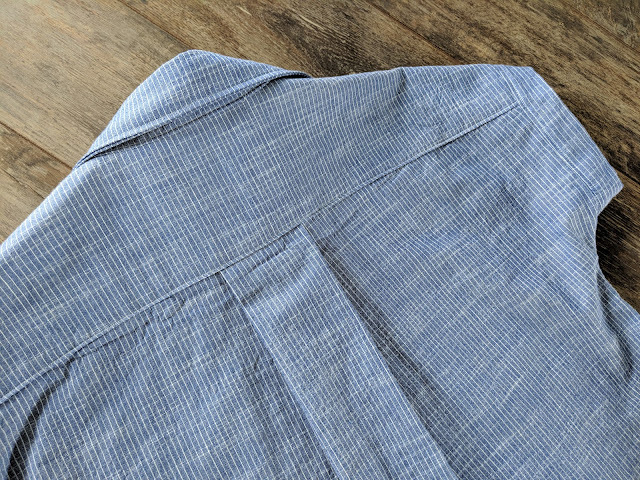 In retrospect, I would've saved this fabric for something else or skipped the hidden placket all together. I'm still learning about fabric and what works best with what so I'll chalk it up to that. Even though I'm really happy with how my first attempt turned out, I had quite a bit of trouble from the beginning including a nightmare experience at the fabric store and a lot of frustration trying to understand how to solve the problems I encountered. After distancing myself a little from the project, I decided to try it again, but with a different view and little to no alterations. (I'm telling you. It's a learning curve to know what my limits are.) 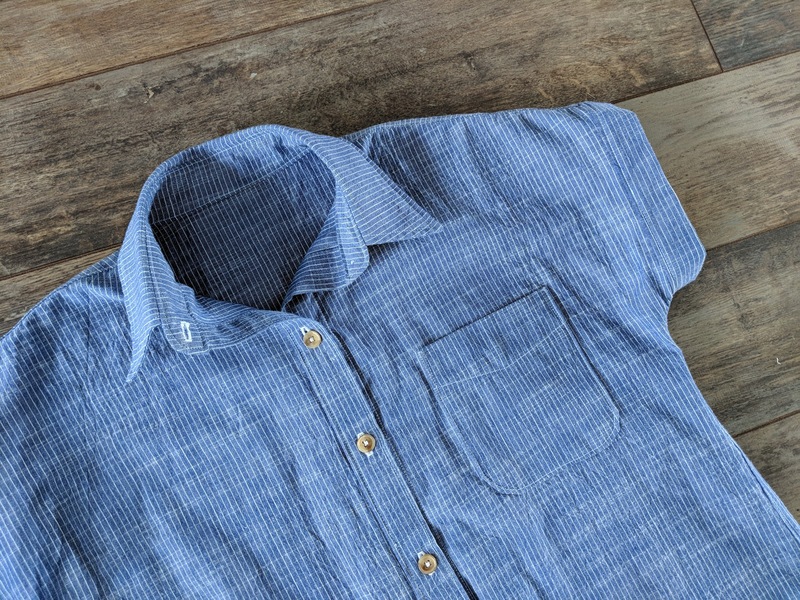 If I'd known what I know now, I would've started with view C with the standard button placket. It's vastly different from view A and a lot easier to understand. For my second try, I also made sure to utilize the sewalong posts every step of the way. 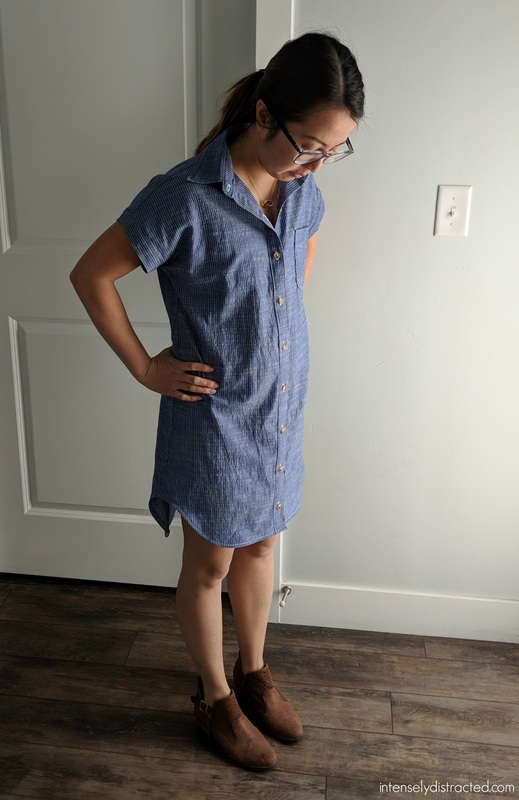 For the shirtdress version, I used a striped chambray from Hobby Lobby. This was my first time sewing with chambray and it was absolutely perfect for this make. I love the weight of it and how it helps hide some of the imperfections. It really all came together in this second version and I absolutely love the final result. The only modification I made was shortening it by 2 inches. I read that this was drafted for someone 5'6" tall and since I'm only about 5' tall, I decided that would be necessary so I wasn't totally drowning in it. I didn't mess with the hemline and it does run up a little higher on the sides than I would like, but I'll just wear some shorts underneath and it'll be fine. For future dress makes though, I will be sure to adjust the dramatic curve so it's a bit more modest. With March ticked off my list, I'm onto other projects before I make another Kalle but I totally get why everyone loves this pattern now. The options offer endless versatility and I love how you can keep on making Kalles without having them all perfectly match. Which version do you like best? Have you tried making a Kalle yet? Thank you! Having to pick fabric is always hard but fun! I can't wait to see what you choose! DIY Quick & Simple Floor Cushions!